After a brief hiatus, occasioned by this Leo's globetrotting, the A-Z IP policies in Africa series returns with a visit to Burundi. An IP Policy is not listed on the country's WIPOLex entry (here) but according to WIPO's technical assistance database, an 'Expert Mission to review the Draft National Intellectual Property Policy, + Stakeholders Workshop to Validate the Draft National Intellectual Property Policy of Burundi' were hosted in Bujumbura on 29/11/2012 - 28/02/2013 (see the entry here). Presumably, a draft has been formulated but has not yet been finalised and adopted (see a WTO overview of IP policies in LDCs here. This report was prepared by SAANA Consulting. For background on the preparation of the report, see the consultancy's website here). As usual, pertinent information from our readers is welcome. 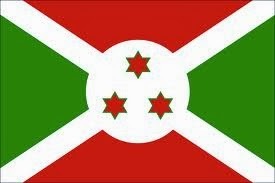 Please use the comment box below to share any information on the IP policy of Burundi.